I didn't have a designated favorite book until college. This strikes me as strange for a budding writer, particularly one who has had her nose stuck in a book since approximately third grade, and has been writing scraps of stories since I was nine years old. I had favorite books but they were always supplanted by new favorite ones. Nothing that I could really point to as my Favorite Book of All Time. In Expository Writing in college, we had to do a quick presentation about our favorite book. I didn't have one, so I fudged it by talking about Amy Tan's The Hundred Secret Senses. Somehow, I didn't think that talking about my favorite romance novel of the time would have sufficed. 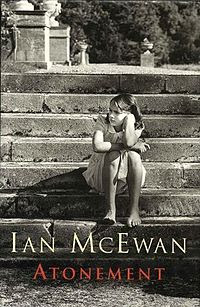 And then, over the winter of 2006-2007, in my last semester in college, I read Atonement by Ian McEwan and it became The Favorite Book and remains so. Not to say that having A Favorite means that I don't find other books to be amazing or mind-blowing in their turn, of course. Here's what I remember about that initial experience of reading Atonement. I found out about it, as I have about many books, movies, TV shows and plays, because of an unobtainable, imaginary boyfriend---the crush of the moment was James McAvoy. I had found out that his next movie was based on a novel which had won prestigious awards and took place during World War II. For whatever reason--probably after I read the synopsis on Wikipedia--I decided that I wanted to read it. So I did, and I was immediately transported to a claustrophobically hot July day in England in 1935 and introduced to Briony Tallis, a precocious 13-year-old budding writer; her three cousins; and Briony's older sister Cecilia and a family friend, Robbie Turner, who is the son of the Tallis' housekeeper. The book is very much about storytelling, specifically what it is like to be a writer, in addition to the tragic war and love stories in parts two and three. 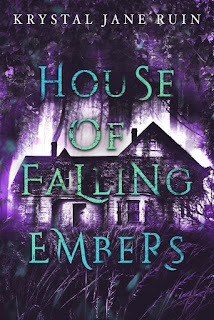 There's a huge twist at the end, which I won't spoil, and a meditation on whether writing a story to correct a real life mistake is enough to atone for one's sins. The novel was more literary fiction than I usually go for. Not only did I find the description to be lovely, but the characters came across so pitch perfectly. The prose; the things I would do to have such precise narrative prose. I didn't know it then, but in reading and re-reading the book that year, I was studying writing--Atonement is divided into four sections and the narrative arc is clear. A lot of readers find Briony to be self-centered and horrible and I did, too, but her thoughts are ones I recognize. They are not meant to be amusing, but I was amused reading them because as a young writer myself, I'd had those same thoughts and feelings, the same ego, the same wish to make people do as I wanted them to. I found Cecilia harder to sympathize with at first, but I related to her. In 1935, Cecilia has just graduated university and is restless, irritable and anxious. Then she realizes her strong feelings for Robbie and just as they acknowledge that they love each other, something horrible happens and she and Robbie are torn apart. Cue my immediate absorption--in addition to my romance novel fetish, I like a good tragic love story once in a while. One set in an historical setting ups it by a thousand percent in my wheelhouse. When I finally saw the movie adaptation later that year, on a rainy, cold winter day in New York, with my friend, I thought the casting was spot-on. 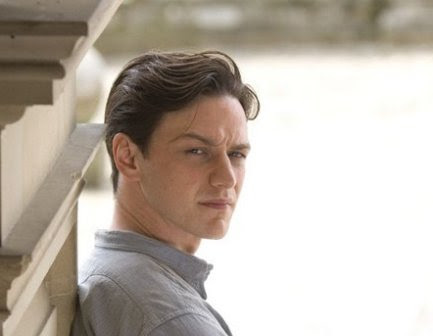 James McAvoy surpassed my expectations in playing Robbie. The 1935 portions looked exactly as I imagined them when I read the book. I did not, however, like the ending--still don't--but it's a very internal revelation and ending and I can understand why the filmmakers did what they did. A few years later, one of my friends wrote on Facebook that he saw Atonement (the film) found it depressing. I told him it was based on my favorite book and yeah, it is depressing. But maybe this is a peculiarity of being a writer--or just being me--but I loved it. You know, I can totally relate to not liking an ending at all but still loving the book (and movie adaption). Little Women. From the moment Jo turns Laurie down I scream at her all the way to the end. Lol! But I still love it. I've never read Atonement. I glad you wrote this because I never would have pick it up and it actually sounds like something I would like. Jo and Laurie! I love Jo, but why why why did she turn him down like that?! I wasn't happy about it when I read it the first time and I'm still not happy about it now! I actually liked Atonement's ending (in the book). There's a huge twist in that last part and it changes the way you look at the previous parts. Didn't like the way they did it in the movie, but I understand. James McAvoy makes up for a whole lot of adaptational issues. Let me know what you think if you read it. Atonement's definitely on my to-read list and has been for a while; I'm thinking of making it one of my "vacation books" when I go away at the end of the month! When pressed, I say my favorite book is And Then There Were None. I guess that choice may reflect what I hope to attain as a writer - psychologically fascinating characters with a gripping plot you can't put down and walk away from. I wonder if that's always the case with writers--are our favorite books reflective of what we want to eventually write? It's so hard to pin down a favorite book, I have the same problem! When we have to make lists like that in class I never can. I can do a list of favorite books--but to pin it down to one favorite was hard. People shouldn't ask writers questions like that!